The global Cyber Exposure Index ranks South Africa sixth on the list of most-targeted countries for cyberattacks. Small and medium enterprises are not immune to this — far from it. One global study suggests that 58% of all breach victims are categorised as SMEs. 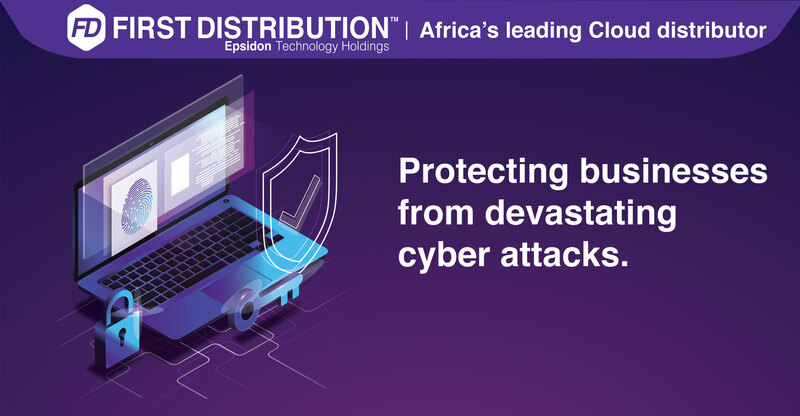 Without access to the same skills and technologies as larger enterprises, SMEs remain vulnerable to attacks and often lack appropriate response and resilience capabilities that can restore normal operations in the aftermath of a successful cyberattack. Consider a denial of service threat — an attack meant to shut down your machines or networks, making them inaccessible to intended users. These attacks often target SMEs because hackers know how devasting the cost is when time and efficiency mean money — and the difference between an SME’s ability to keep the lights on and salaries paid or close its doors. In our experience, large enterprises can survive cyberattacks. For SMEs, they can be far more devastating. What does all this mean for SMEs, though? There’s a reason that hackers take a chance on SMEs — many businesses in this space don’t have IDS and IPS DDOS protection. SMEs are also “softer” targets that hackers can use to access the data of larger, enterprise customers. As lifelong allies in business transformation, Microsoft believes that success made possible by the cloud should be accessible to every business and organisation — large or small. In many ways, the cloud is a democratising force — systems and solutions that were previously unattainable for SMEs simply because of the expense involved are now freely available — including cybersecurity. Microsoft Azure is a trusted hybrid cloud solution: 95% of Fortune 500 companies trust their business on the Microsoft cloud. All the services that are available to the world’s largest organisations are available to SMEs as well. Because it’s in the cloud, Azure essentially becomes a software solution — a way for SMEs to access the platforms, software and functionality they need, as they need it, without investing in on-premises hardware and servers. The key to Azure from a security perspective, however, is that just by using it, SMEs are protected against cyberattacks. Azure has built-in protection automatically, so even SMEs that are accessing the simplest functionality are automatically protected. This can, of course, be increased as well. Advanced threat protection for workloads, whether in Azure or on premises, can be extended through using other applications, such as Kaspersky, to further protect and guarantee protection against multiple cyberattacks. Consider how Azure can so successfully cater to the SME market. Microsoft invests over a billion dollars annually in cybersecurity, including the Azure platform, to ensure its government, Fortune 500 and enterprise clients are protected. Three thousand five hundred dedicated cybersecurity professionals work together across the Cyber Defense Operations Center, digital crimes unit and other teams to help protect, detect and respond to threats in real time. Because Azure is a cloud-based solution, however, all of that security and expertise is available to any business that utilises the platform. When Azure was conceived, the goal was to offer SMEs the same functionality as large enterprises, which means SMEs can benefit from Microsoft’s 3 500 dedicated cybersecurity professionals just as much as a Fortune 500 company can. The most important element of Azure’s security features, however, is that they are constantly evolving. As technology and data science evolve, cyberattacks evolve in intelligence. In Azure, applications and services are always changing and being updated to keep up with the evolution of cyberattacks — with no additional investment from Azure users. It’s simply built into monthly user fees. First Distribution is the leading value-added distributor in Africa. Our offering includes a product portfolio of global leading data centre, cloud, networking, and security products and services. This embraces hybrid solutions with access to any combination of on-premise, private cloud and public cloud end-to-end solutions from multiple vendors. The portfolio, together with highly skilled staff to support and manage vendors with an unrivalled level of expertise, ensures that our partners have the key elements required for success. 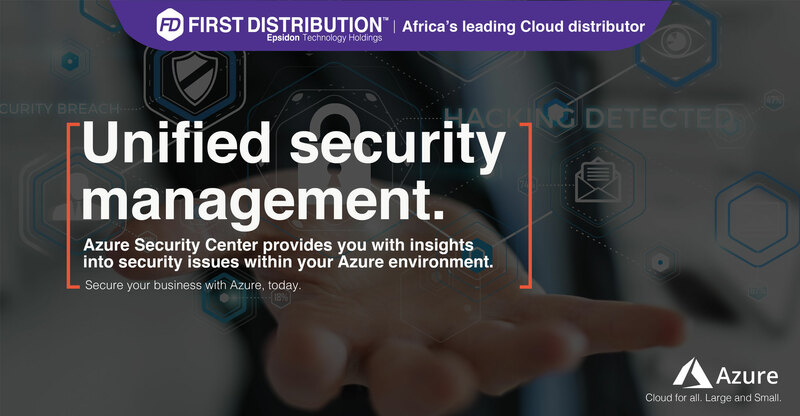 First Distribution additionally hosts one of the largest technology partner-to-partner networks in Africa allowing partners to extend the reach of their solutions across the continent. Visit www.firstdistribution.com to find out more.